4/11/19 from 5-9pm at Kianti's. 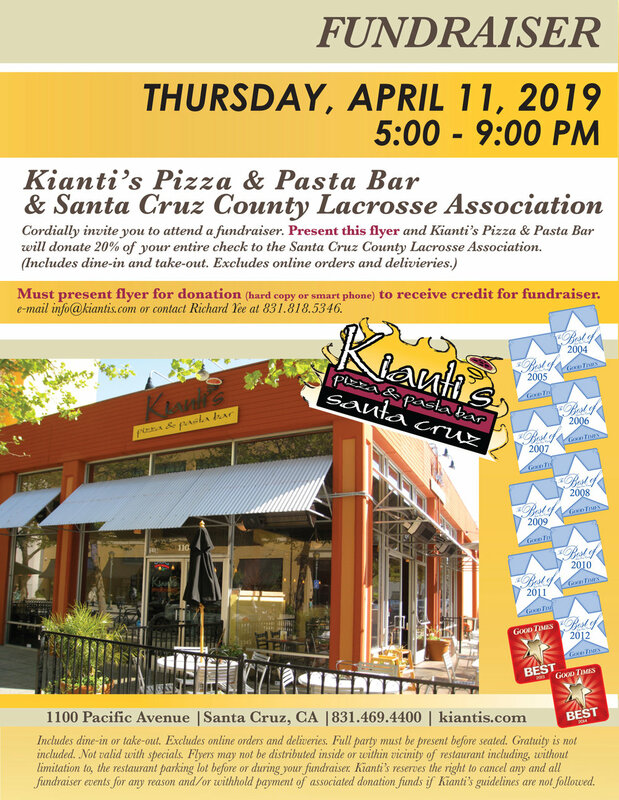 Kianti's Pizza & Pasta Bar & Santa Cruz County Lacrosse Association cordially invite you to attend a fundraiser. Present this flyer and Kianti's Pizza & Pasta Bar will donate 20% of your entire check to Santa Cruz County Lacrosse Association. (Includes dine-in and take-out. Excludes online orders and deliveries). Must present flyer for donation (hard copy or smart phone).